Gun Metal Color Best Man Cufflinks with Stripe are made from Brass-Alloy base metal with Gun Metal color enamel coating. Exclusive new design with very detailed work finishes. 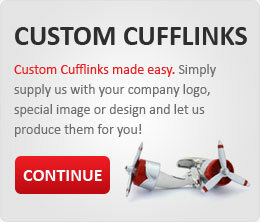 These cufflinks are also available in Silver Color style. Each Pair is packed in Exclusive Rudolph Alexander Gift Box.